The Estancia townhomes located at 5515 Estancia Circle are centrally located in North Dallas with easy access to Addison and Galleria area. These Spanish Mediterranean style townhomes in North Dallas offer several two, three, and four bedroom townhome floorplans with attached garages. Two bedrooms range from 1,436 sq. ft to 1,668 sq. ft at $1799-$2180, three bedrooms from 1,851 sq. ft to 2,264 at $2,095-$2,898, and four bedroom townhomes at 2,275 sq. ft priced around $3,000. Estancia townhomes in Dallas are within minutes to Addison restaurant row offering fine dining, shops, and trendy pubs and nighclubs. 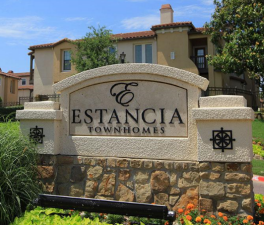 You will appreciate Estancia’s beautiful Spanish architectural design features and thrive in the social life that surrounds your urban home in a live, work, play lifestyle. All of Estancia’s apartment homes are cable ready with wireless access and residents have access to a business center with complimentary copying and faxing. Estancia welcomes corporate visitors and will accommodate corporate contracts of any duration including short term leases. These luxury North Dallas townhomes offer residents a secure gated community with a courtesy officer that lives onsite. Each townhome also includes intrusion alarm for added extra security. Estancia towhomes offer residents private two car attached garages and plenty of extra parking spaces for visiting guests. 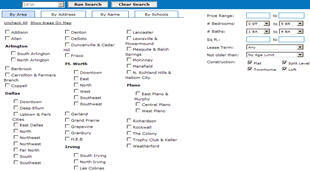 Dallas apartments are some of the best in the State of Texas. They are reasonably priced and full of amenities. Anyone who wants to enjoy an upscale lifestyle should look at the Dallas West village apartments located off 3636 McKinney. They are located in a pedestrian friendly part of the city making this the perfect place to live, work and play. These popular apartments in Dallas west village feature granite counter tops and stainless appliances. Many of them have private balconies. Hardwood floors make the Gable apartments at 3636 McKinney easy to clean. This is important for people with allergies. The large walk in closet is a favorite with both men and women and there is no lack of storage in the units. Track lighting is also featured in the apartments giving a subtle ambiance to all the rooms. Most people are thrilled with the washer and dryer and enjoy having these appliances available. It is possible to walk out the front door and enjoy some of the best shops and restaurants in the community. 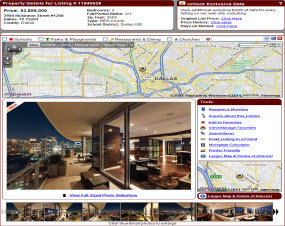 3636 McKinney apartments in Dallas are centrally located next to everything residents need. Public transportation is also close by and many people use it daily. There is an amazing pool right in the complex with a well-equipped workout room. Everyone is friendly and often residents can be seen visiting and eating together. It is a one of kind area for people who want to enjoy the finer things of life. Most of the units are less than 1,000 square feet. Because they have vaulted ceilings and light colors, they seem very roomy. The apartments are well planned with storage in every room. One and two bedrooms are available. It is best to check prices with the manager because they often change. Most people are thrilled to hear how reasonable they are though. This type of living is the trend of the future. It is easy to apply for one of the units. It can be done right on line. There is a small fee for a credit check. References are necessary and the first months rents. A non-refundable cleaning charge is also part of the first time fees. The apartments are full most of the time, but once in while there are openings. Most people like to get on a waiting list. When a unit comes up, they will be the first to be called. Anyone who wants this easy, upscale Dallas West Village real estate lifestyle should take a look at these amazing apartments. Check it out today and see if this isn’t the right choice. If you are looking for urban apartments in North Dallas, check out the new Union At Carrollton Square located off 1111 S. Main between S. Broadway St. and Carroll Ave. These new Carrollton contemporary apartments in North Dallas are apart of a brand new planned mixed use urban district minutes from Downtown Carrollton built around a new Dart Rail line. The new mixed use urban district in Downtown Carrollton is expected to include 172 midrise apartments, 4,611 square feet of retail space, and a five level 155,330 square foot parking garage. Residents in Carrollton see this new urban developement as the first step in moving the CFBISD district into the new urban era. The new Carrollton urban district in North Dallas will offer a balance between urban and suburban living with all the conconviences of both lifestyles. 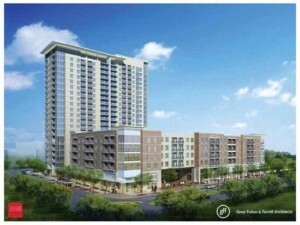 Union at Carrollton Square in North Dallas will offer curbside restaurants/bars, leisure/entertainment, and shopping. Downtown Carrollton Square is attracting new residents and businesses including Agave Azul, Amici Signature Italian, Babe’s Chicken Dinner House, Broadway Bistro Cafe’, Sid’s Rainbow Grill, and other leisure, shopping, and entertainment venues. 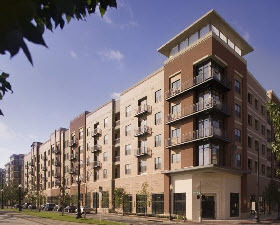 If you are searching for urban living in the Carrollton North Dallas area, check out Union At Carrollton Square. Carrollton, Tx is moving forward with a brand new mixed use urban district complete with residential living, retail space, and a new Dart Rail line connection the DFW area. Contact one of our agents for more information on urban living in Carrollton and surrounding areas. Our agents specialize in buying, selling, and renting real estate in Carrollton including contemporary/modern homes, new homes, townhomes, condos, lofts, and apartments in Carrollton, Texas. Forest City Enterprises closed the deal last Friday on three acres located at McKinney Avenue and Blackburn. The land will be developed into a $100 million residential high rise apartments with retail space. The luxury high rise apartments in Dallas will feature a 20 story tower and two five story buildings. The buildings will feature over 380 urban apartments and 37,000 sq. feet of retail on the ground floors. Good, Fulton & Farrell, the architect for Uptown Station in Dallas, will be working on the project with construction starting in fall 2012. The new retail shops and high rise apartments in Dallas will extend the already popular West Village Urban Center. The West Village urban center currently consists of a 130 acre retail and apartment Cityplace development which includes shops, restaurants and urban living. If you currently looking for an apartment or loft in the West Village urban district, be sure and check out Gables West Village, Riviera at West Village, Marquis at West Village, and the Dallas West Village urban lofts located at 3699 McKinney. If you would like more information on the new Forest City high rise apartments in Dallas Uptown West Village, please contact DFW Urban Realty. Our agents specialize in Dallas West Village Real Estate and Uptown Dallas Real Estate and can assist with buying, selling, and renting homes, condos, townhomes, lofts, high rises and apartments. Ask one of our agents about special discounts on urban properties in Dallas Uptown West Village area including a cash rebate up to $500 when you refer our free Dallas apartment locating service.